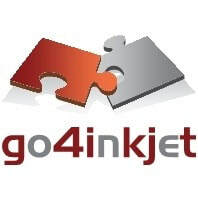 Inkjet partners and the third-party network form a worldwide community of respected, well-established companies offering products and services that support and complement IACS's offering. ​For more information please browse through the links below. ​TOSHIBA TEC's drop-on-demand piezo-electronic inkjet heads are designed for a wide range of industrial applications, including those that use high viscosity fluids carrying large, heavy specific gravity particles. The advanced design of TOSHIBA TEC inkjet heads ensures high reliability and outstanding print quality. Chemstream develops tailor made water based, mild solvent and curable inkjet inks and coatings for industrial applications. Agfa's extensive range of inks is suited for a wide variety of applications, indoor as well as outdoor. Agfa offers UV curable inks, Water-based dye inks as well as Solvent-based inks. IACS recommends tested and approved ink from AGFA together with TOSHIBA TEC heads. CCM is a centre of excellence in mechatronics with a lot of expertise in industrial inkjet equipment. Global inkjet systems develops inkjet head boards for different inkjet head suppliers such as TOSHIBA TEC. ​​TTPmeteor develops inkjet head boards for different inkjet head suppliers such as TOSHIBA TEC.